Accelerator manager, mentor, strategist and mentor with +25 years of experience in highly dynamic, projectised environments. Before designing, implementing and internationalising Europe’s first Government-backed accelerator focussing on Blockchain and other emerging technologies, YouStartIT, Alex has been a promoter of change and innovation at MITA, and covered various roles as strategic planner, project manager, consultant and business development manager. 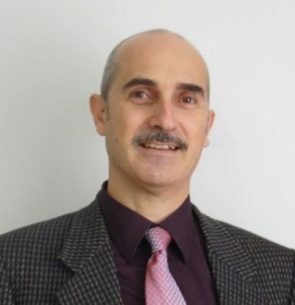 He has been a national representative on European Commission ICT R&I related Committees from 2009 to 2014, co-author of Malta’s National ICT Strategy 2014-2020 and now a leading promoter of the Maltese startup ecosystem. Alex has a passionate belief in empathy, analysis and research as key drivers in anything he does, and always being ready to move out of his comfort zone. Specialties developed over the years in chronological order: business acceleration using Design Thinking and Lean Startup approaches; business mentoring and incubation; strategic planning and policy development; action research; business analysis; strategic client portfolio management; business development; proposal and contract drafting and negotiation; project management; quality assurance; software development; technical writing and copywriting.